Montréal ranks first among the top cities in the Americas where international conferences are planned. This is according to the prestigious report issued by the Union of International Associations (UIA) for 2017. Montréal hosted 149 international conferences, finishing ahead of cities like Washington, New York, Chicago, Buenos Aires and Toronto. That’s a new record, eclipsing the previous mark of 108 events set in 2005. More impressive still, Montréal hosted almost two-and-a-half times the events held by the second-place city. Overall, Montréal accounted for 61% of all international events held in Canada. This figure clearly reflects the city’s reputation within this key market, which contributes significantly to the Montréal and Québec economy. The city ranks 15th worldwide. “The excellent work by the Palais’ teams and Ambassadors, our partners, especially the Fonds de recherche du Québec, the IRSST, Montréal InVivo, the universities, the hotel industry and the City of Montréal, is bearing fruit and yielding remarkable results. This development strategy combined with Tourisme Montréal’s efforts in promoting our city are ensuring Montréal retains its select status among the world’s top host cities in the world for international conferences,” emphasized Raymond Larivée, President and CEO of the Palais des congrès de Montréal. “The opportunity to play a role in the major events that are shaping tomorrow’s Québec and spreading its reputation globally is a privilege that galvanizes everyone on the Palais team,” he added. “Business tourism is a big lucrative market for Montréal. It generates significant economic and tourism benefits. 2017 was a record year for conferences, business meetings and sporting events. We attract thousands of participants each year, who continue to be increasingly satisfied with their experience. These rankings reiterate our leadership atop the America’s tourism industry. They are proof that we need to continue to work together to deliver an experience that is uniquely Montréal,” said Yves Lalumière, President and CEO of Tourisme Montréal. Founded in 1907 by Nobel Prize winner Henri La Fontaine and Paul Otlet, the UIA publishes these world rankings based on a database consisting of 68,000+ organizations in 300 countries and territories. 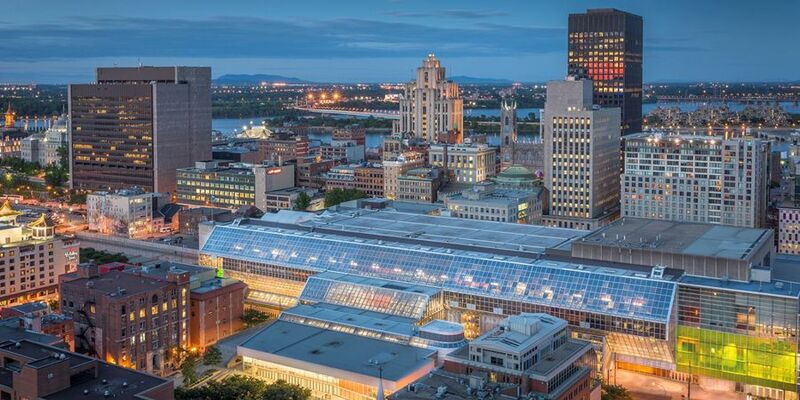 The International Congress and Convention Association (ICCA) also ranks Montréal among the world’s top host cities for international events. Number One in North America and second in the Americas, after Buenos Aires, the city performed well on the ICCA’s list, whose results stem from a database of over 12,000 events that rotate between at least three different countries. A new record: the 96 Montréal events the ICCA compiled for its 2017 list amount to a 26% increase over the previous record set in 2016. Since 2002, Montréal has topped the North America standings 10 times. Next articlePrepare to be challenged and inspired!